It seems like everyone in my office is sick this week. While many of my co-workers seem to be suffering from flu-like symptoms I have a nasty cold. I hate being sick. Yes, it gives me an opportunity to re-watch Veronica Mars and sleep an extraordinary amount, but it also comes with a constant dripping nose, aches, and tiredness that are not pleasant. So, when I am sick I make this juice, which has become my go-to natural remedy that I pair with lots of dark leafy greens. 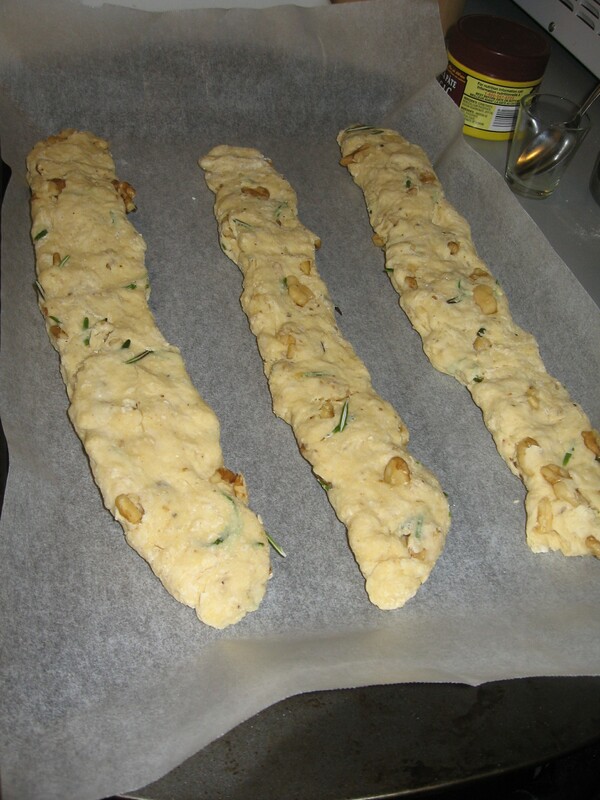 I love this recipe because it makes me feel better every time but I have to warn you that it is not a recipe that you make friends with – it contains one clove of raw pressed garlic. For some reason, Mike is never sick when I am sick and he groans whenever I make this juice. I guess when your nose is not plugged up the smell of raw garlic is pretty strong. 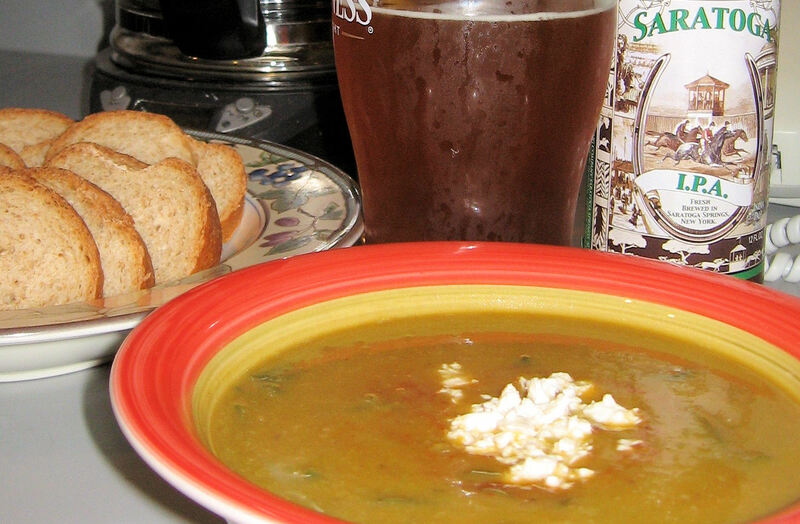 This recipe is adapted from Rebar’s liver quiver juice recipe. And as a super plus, it is easy to make when you have no energy. Juice the grapefruit, lemon and oranges. 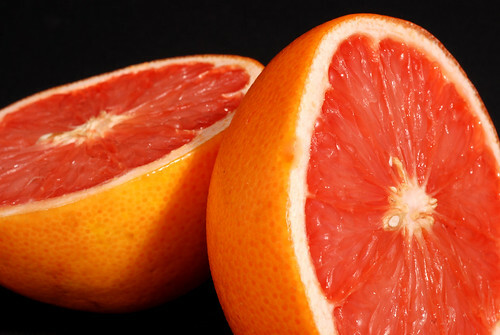 Strain out the pulp (or leave it in) and combine the juices in a glass. Crush one clove of garlic in a garlic press and then combine with the juice. Add a pinch of cayenne pepper. It is best to drink this fast in big gulps then get back to the couch. That first season of Veronica Mars is not going to re-watch itself. It’s soup season! Last night as I was walking home with a cold rain and harsh wind blowing I realized that pretty soon it is going to snow. Luckily, Mike and I had lots of leftovers of this soup to keep us warm. If the ingredient list seems a little long it’s because there are lots of spices in here. I actually did not intend on posting this recipe because I was just planning on making the Squash-and-White Bean Soup from this cookbook. However, when I started to cook I realized I was deviating from the recipe quite a bit. Instead of leaving chunks of squash and celery I blended the “base” of the soup to a creamy texture. 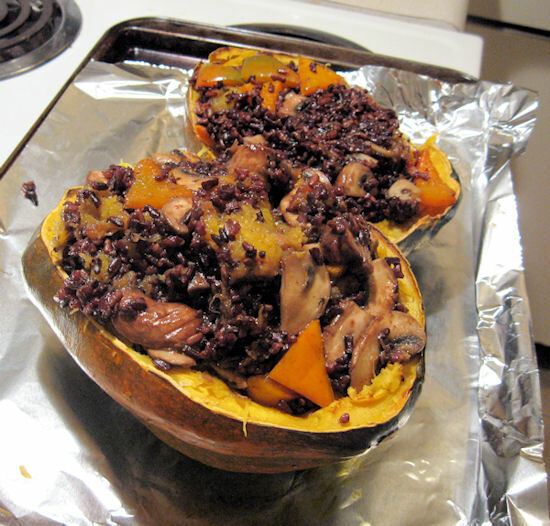 And while I love the taste of winter squash and white beans, I had black beans in the fridge that needed to be used. The real highlight of this soup is the garnishes. I recently discovered Harissa and have a jar of it in my fridge to use up. I knew the taste would go perfectly with this soup so I drizzled about a 1/3 of a teaspoon in the bowl just as I served it. Combine the oil, squash, onion, celery, jalapeno, ginger and garlic in a large soup pot. 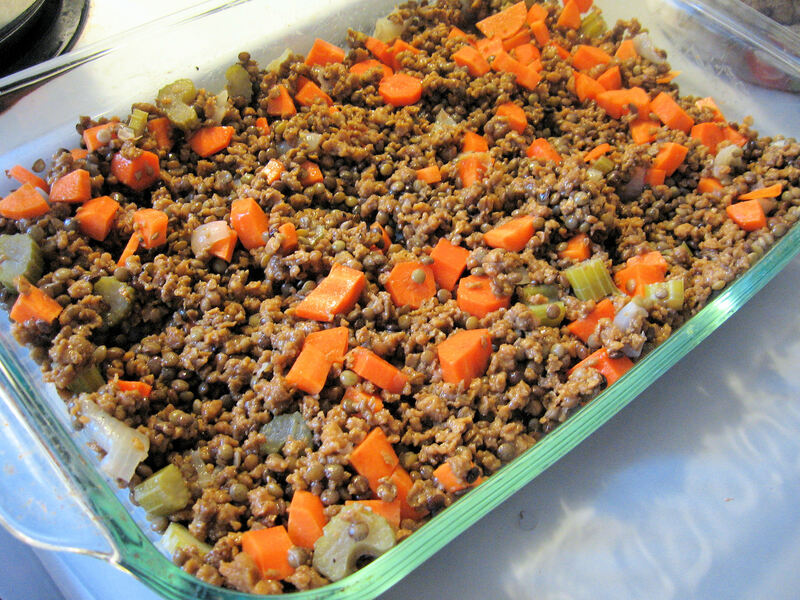 Cook over medium-high heat until softened for 7-10 minutes, stirring often. Add the vegetable stock, chile powder, thyme, allspice, salt, and ground pepper. Bring to a boil then reduce heat to simmer. Cook for 20 minutes. Using an immersion blender blend the soup to a smooth texture. Add your ancho chilli powder and taste for salt. Stir in the spinach and beans and cook for about 10 minutes more. When serving add some harissa as garnish with a bit of crumbled feta. 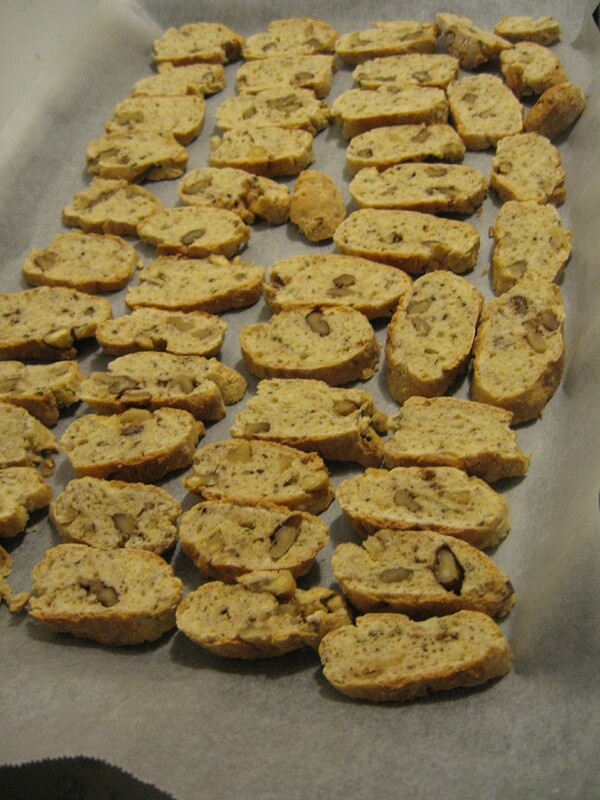 Serve warm with crusty bread. I grew up in a very meat and potatoes family. When I started cooking without meat I often found myself craving food from my childhood – here I’m posting a pretty standard “meat and potatoes” dish that I’ve adapted for vegetarians. 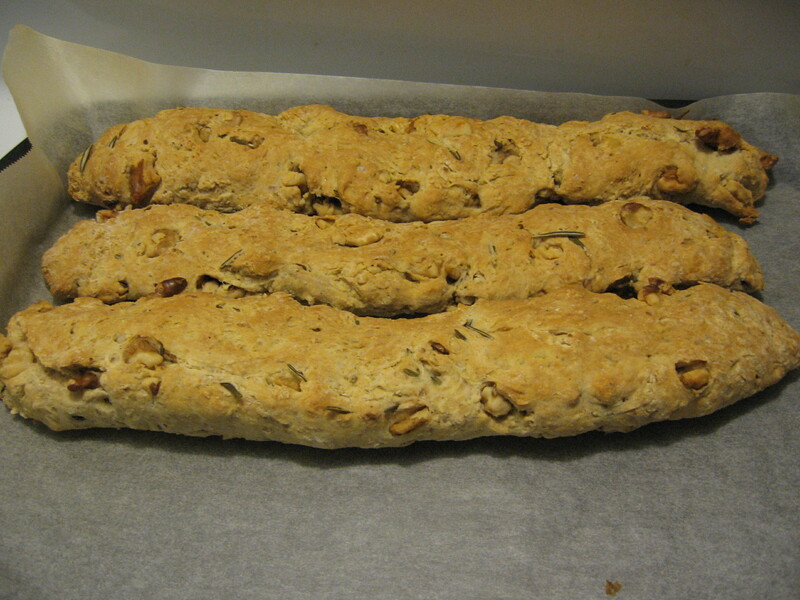 I also have a great vegan version with mushrooms which I will hopefully get around to posting soon. This recipe is perfect for those fall nights when you want something comforting. A couple of notes if you decide to try this recipe. First, I don’t usually cook with fake meat products because of the high salt content. 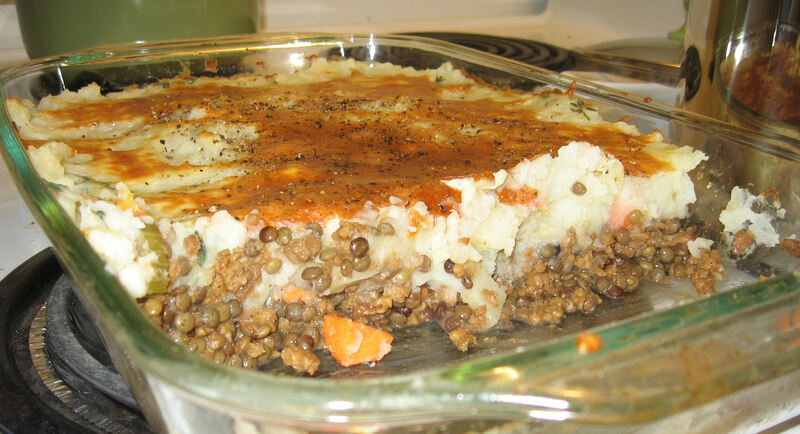 If you are totally against using processed foods you can make the entire base out of the lentils – you may need to add some extra root vegetables. And you will notice that I don’t add salt to anything else but if you absolutely can’t stand your potatoes without salt feel free to add some. Second, this recipe only calls for carrots but I often experiment with the base of the pie — when I come home from the farmers market with a tonne of root vegetables (turnips, rutabagas, etc.) most of them end of in this dish. 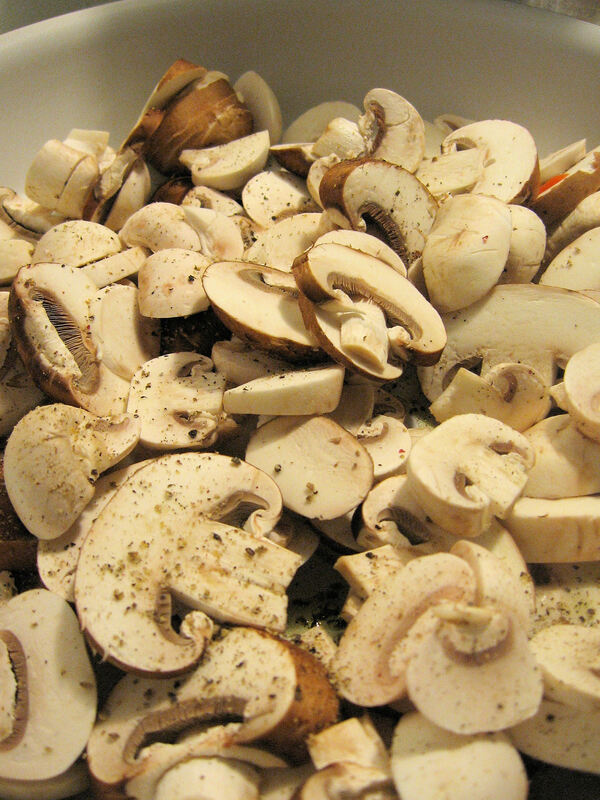 Just make sure you cut them small enough to cook (or cook them beforehand). Prepping the lentils for the pie's base. While waiting for the water to boil prepare your aromatics. Quarter the onion. Finely chop the celery and peel the garlic clove. 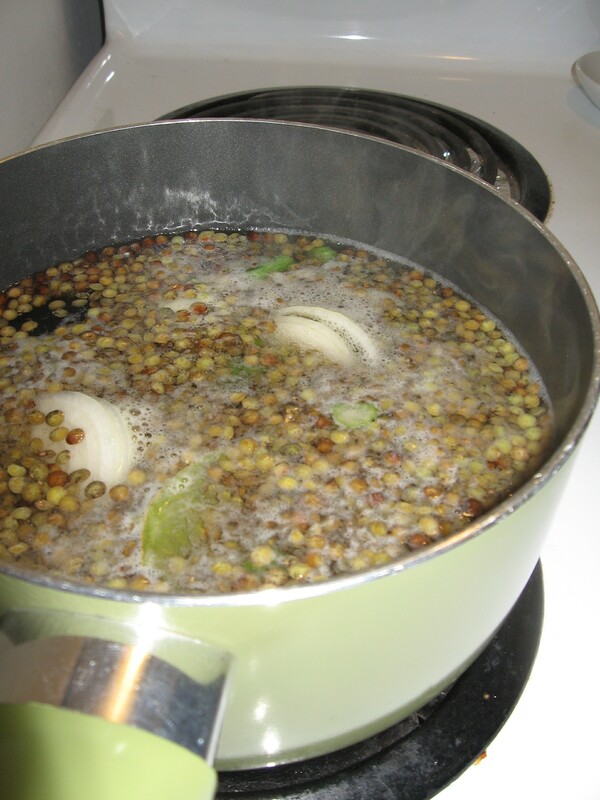 Once the water has boiled, add these aromatics to the lentils and turn the heat to simmer. Cook for around 25 minutes. You want your lentils to be firm and not mushy – also many people would add salt at this point but with all the salt in the veggie ground round I usually avoid it here. As the lentils cook prepare the celery root and the potatoes. Basically if you already know how to mash potatoes this step will be very easy for you. Peel the celery root and the potatoes. (Note: if you have organic potatoes no need to peel them – I love the rustic look of the potato skins in a mash.) Chop the potatoes into small pieces roughly the same size. The celery root takes a little longer to boil so you want to chop these pieces a little smaller. In a large pot add enough cold water to cover the potatoes and celery root and bring to a boil (turn down to a simmer once they have reached a boiling point). As this point your lentils should be finished. Drain and if you want you can reserve the liquid to use for stock at some future date. Remove the onion, garlic and bay leaf. Don’t worry if you can’t remove all the onion – some small pieces in the lentils won’t hurt. Season with some freshly ground pepper. 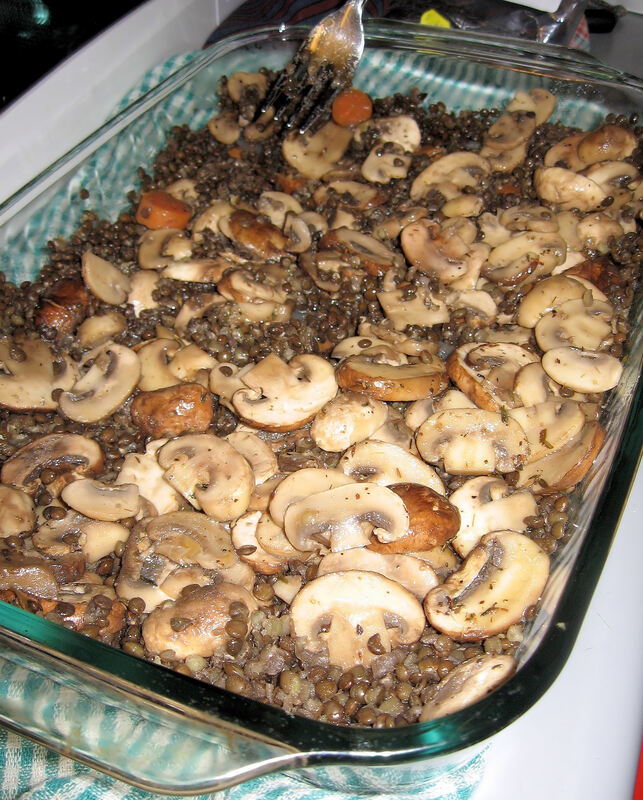 Put the lentil mixture into your casserole dish – I use a 9×15” glass casserole dish. Mix in the veggie ground round. If I have time I start preparing the carrots (step 9). If your potatoes are ready, drain the water (you can also save this and add it to the lentil cooking water for stock) and mash them with the milk, butter and thyme. I usually mash them in the same pot that I cook them in and leave them covered until I am ready to use them. Prepare the carrots by peeling, and cutting into quarter or half moons. I like my carrots very crunchy in this mixture so I tend to keep them on the larger side. Add them to the lentil/veggie ground round mix. This is your base. Spread the mashed potatoes evenly over the base mixture. Spread the grated cheese over top of the mashed potatoes. Cook for 20 minutes in your pre-heated oven. You can turn the broiler on for the last couple of minutes to brown the top. But, keep a close on it. Mike and I were sorting out our compost and I totally over-cooked the top of this pie. Good side dishes: garlicky kale, rapini or the classic stand-by: peas.